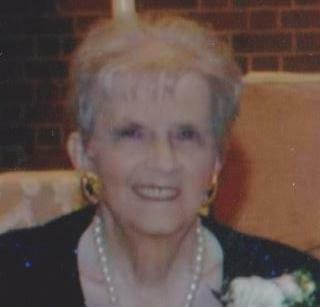 Miksic Patricia M. "Pat" On Tuesday, October 2, 2018, age 89, of Shaler Twp. Beloved Wife of 66 years to Richard S. Miksic. Loving Mother of Janet (Jerry) Pino, Mark (Lisa) Miksic, and the late Jacqueline Miksic-Maloney. Dear Friend of Tom Caras. Proud Nunny of Marcy (Jorge) Lima, Katherine Maloney, Michele (Ryan) Erb, Megan (Thomas) Doane and Allyson Maloney. Great Nunny of Nathan and Nicholas Doane. Also numerous Step-Grandchildren, great grandchildren, nieces and nephews. Sister of Kathy (late, Dennis) Christian and the late Jeannine Rogalsky. Sister-in-Law of Raymond Rogalsky. Friends received Thursday 6-8 PM and Friday 2-4 & 6-8 PM at the Hahn FH & Cremation Services Inc. 123 North Avenue, Millvale. Mass of Christian Burial Saturday 9:30 AM at Holy Spirit Church. Pat was a member of the Christian Mothers and an Avon lady for over 40 years. Family suggests memorials to the charity of your choice.